Need a gas furnace installed, serviced or repaired? Contact us online or call 1-800-888-1045. 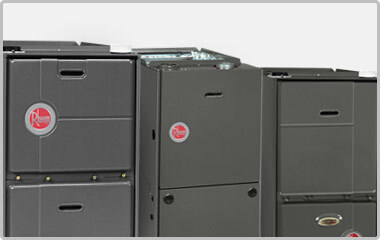 Why Should I Depend on Sundance for My Gas Furnace Needs? Are a company that Puget Sound homeowners have trusted more than 30 years. Always offer great, reliable customer service. Hire NATE certified workers and we guarantee our work. Employ dedicated Certified Technicians and Electricians, meaning we're an all-in-one, one-stop destination for installing high efficiency gas furnaces. What Gas Furnace Brands Do You Repair and Install? We repair and install all gas furnace brands, makes and models. Do You Install High Efficiency, Energy Star Rated Gas Furnaces? Yes, we install high efficiency gas furnaces with AFUE ratings up to 98%. Ask us about available rebates.